Catholic News World : Cardinal Dolan warns Catholic Voters about the Democratic Party who "now slams the door on us." Cardinal Dolan warns Catholic Voters about the Democratic Party who "now slams the door on us." 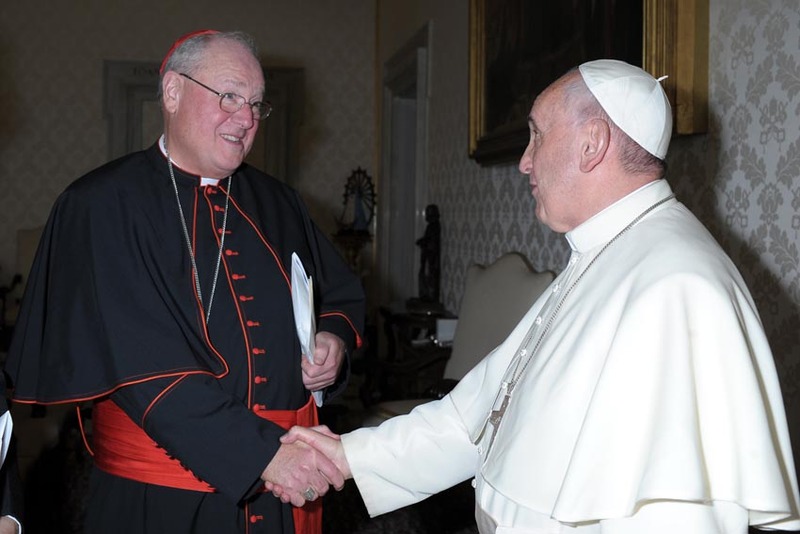 Cardinal Timothy Dolan, Archbishop of New York, has written an op-ed in WSJ against the Democrat party, because they now openly forbid pro-life candidates. "A couple of events over the past few weeks brought to mind two towering people who had a tremendous effect on the Archdiocese of New York and the U.S. more broadly. Their witness is worth remembering, especially in this political moment. "Such is no longer the case, a cause of sadness to many Catholics, me included. The two causes so vigorously promoted by Hughes and Grier—the needs of poor and middle-class children in Catholic schools, and the right to life of the baby in the womb — largely have been rejected by the party of our youth. An esteemed pro-life Democrat in Illinois, Rep. Dan Lipinski, effectively was blacklisted by his own party. "The 'big tent' of the Democratic Party now seems a pup tent. Annafi Wahed, a former staffer to Hillary Clinton, recently wrote in this newspaper about her experience attending the Conservative Political Action Conference. She complimented the conservative attendees, pointing out that most made her feel welcome at their meeting. They listened attentively to her views — a courtesy, she had to admit, that would not be given to them at a meeting of political liberals. "I’m a pastor, not a politician, and I’ve certainly had spats and disappointments with politicians from both of America’s leading parties. But it saddens me, and weakens the democracy millions of Americans cherish, when the party that once embraced Catholics now slams the door on us. "To Archbishop Hughes, Dolores Grier, and Grandma Dolan, I’m sorry to have to write this. But not as sad as you are to know it is true." Cardinal Dolan is archbishop of New York. Friends, our Congress must vote on the record, for or against pulpit freedom. Let's take a stand today, and demand free speech be restored to churches and pastors.